It is important in the investigation of UFOs to be able to weed through photographs that are obviously hoaxed. However, it isn't always an easy task to be able to tell if a photo has been faked. So how do you know if a picture has been Photoshopped? 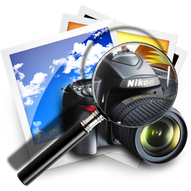 With all of the above being said, we have gathered together several useful photo analysis tools that you can use right now to help you determine whether or not a UFO photo is real. You do not need to be a professional image analyst to use these tools. However you will need a little bit of technical aptitude and of course an attention to detail. Feel free to scan your photographs using these tools, but always keep your good ol'fashioned instincts in tune because there is ultimately no substitute for a keen eye and a sharp, discerning mind. Image error level analysis is a technique that can help to identify manipulations to compressed (JPEG) images by detecting the distribution of error introduced after resaving the image at a specific compression rate. Here is an HTML5-based E.L.A. analyzer where you can simply drag your image directly onto your browser window to begin a detailed side-by-side E.L.A. scan.